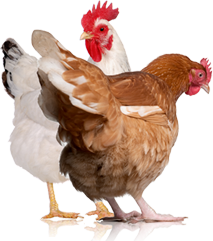 Because each chicken breed has preferential lifestyle requirements, matching breeds to our backyard coops needs is important to the health and happiness of our flocks. Whether you’re building a stationary coop where your flock cannot roam free or a mobile coop for nighttime or occasional confinement, be sure to fill them with the right chickens from the start. The Delaware breed was developed in 1940 with Barred Rocks and New Hampshire Reds. These friendly hens are very good layers of large to jumbo-sized eggs, and they tend to go broody. The heavy Brahma is a good winter egg layer and tolerates confinement well. Because of her feathered feet, she does best in cooler climates. She’s sweet and calm with lap-chicken tendencies. Silkies are considered an ornamental breed, but they’re decent layers of small eggs. 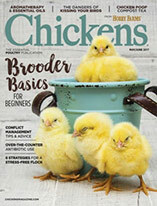 Their personalities are sweet and loving, they’re good mothers, and many can be trained as therapy chickens. Silkies are very popular among people who like their chickens more like kittens. These girls need a lot of human protection. The Orpington is a friendly, happy dual-purpose breed, and a very good layer of large eggs. She will tolerate confinement, and she’ll enjoy some free-ranging, too. She’s pretty easy going and capable of meeting nearly all of your backyard chicken needs. The Wyandotte is a care-free and gentle large-breed chicken. Unlikely to take charge, and prone to feet problems due to her size, she’s rather happy in the protection of the coop. She does enjoy some foraging, but she’s not entirely opinionated about it. The best breeds for free-ranging are active and curious. They are aware of their surroundings, are excellent at spotting predators, and know how and where to take cover. Because these chickens can still succumb to predators, don’t mistake them to be no-maintenance. Their need for open space and foraging is high and rather non-negotiable to their wellbeing. Always a backyard favorite and at the top of every backyard-chicken list, the Australorp is an active forager, a flock leader, a protective mother, a friendly pet and a prolific layer of large eggs. 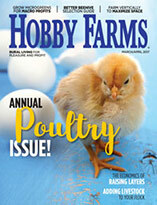 An active and prolific layer of large, white eggs, the Leghorn has the most efficient feed-to-egg conversion rate of any other breed, according to the Livestock Conservancy. The Leghorn has vigorous foraging needs. Rocks are happy, intelligent chickens that much prefer free-ranging over confinement, and they’re popular on today’s small farms. Roosters are said to be calmer than the roosters of many other breeds, so he might be an appropriate addition to a backyard flock if allowed by your local laws. Hens are pleasant and good egg-layers. Anconas are highly active chickens that prefer to free-range in a large space. They’re very good layers of medium to large eggs, and they’re both heat- and cold-tolerant. The Dominique is sometimes confused with the Barred Rock, but she has a rose comb and hundreds of years of history behind her. Dominiques are excellent foragers, and the hens are prolific layers of large eggs. This breed needs room to roam.